Artifacts found through underwater archaeology explorations are displayed in Bulgaria’s only Museum of Underwater Archaeology in the southern Black Sea town of Kiten. Photo: Todor Hristov from the Facebook group “Bulgarians” dedicated to promotion of Bulgaria’s historical and archaeological heritage. He may be contacted at paragraf22@gmail.com. The remains of two wooden ships have been found in the shelf of Bulgaria’s Northern Black Sea coast, Preslav Peev, an underwater archaeologist from the Varna-based Fridtjof Nansen Institute of Oceanology of the Bulgarian Academy of Sciences, has announced, as cited by Radio Varna. Bulgarian and Romanian archaeologists have staged a total of six underwater expeditions for exploring the western section of the Black Sea, off the coast of the historic and geographic region of Dobrudzha, Peev reveals. The two wooden ships have been found in the Bulgarian section of the Black Sea shelf between the town of Shabla, which is Bulgaria’s easternmost point, and the Cape of Kaliakra, which is itself a rich archaeological site with stunning scenery, some 20 km to the south. However, no in-depth information about the newly discovered remains of the wooden ships such as their dating or origin has been provided. To the north, in the Romanian section of the Black Sea shelf, the Bulgarian and Romanian underwater archaeologists have stumbled upon two sunken Soviet submarines, and a sunken German military vessel from World War II as well as several commercial ships that sank in the past 20-30 years. These sunken vessels have been discovered at a depth of 20-30 meters. According to Peev, the new underwater archaeology finds can be easily accessed by scuba divers. He notes that the Bulgarian shelf may be more accessible since depths of 20 m can be found just two miles off the coast, that is, closer to the coast than they are in the Romanian section of the Black Sea shelf. Another expert from Bulgaria’s Institute of Oceanology, its director, Prof. Atanas Palazov, recently spoke of the great potential that underwater archaeology harbors for promoting cultural tourism along Bulgaria’s Black Sea coast. All of the Bulgarian-Romanian underwater archaeological finds discovered in the Black Sea during the six recent expeditions have been described in a brochure published in Bulgarian, Romanian, and English, which also outlines local routes for adventure and underwater tourism as well as exciting archaeological sites situated along the coast of the Dobrudzha region. Peev explains that these sites include the Museum of History and Archaeology in the Romanian port city of Constanta which boasts a rich collection of Roman finds, the Ancient Greek colony Histria located further to the north, the village of Corbu, also to the north of Constanta, which has a fully preserved Ancient Roman water conduit emptying out into stone fountain known among the locals as the “Bulgarian spring" “meaning that it was originally built by Bulgarians". The sites along Bulgaria’s Northern Black Sea coast include the Archaeological Preserve near the town of Durankulak; the lighthouse at the town of Shabla, which is the oldest and tallest lighthouse in Bulgaria, towering at 32 m, together with the Ancient Thracian settlement of Karon Limen, also known as Portus Caria; the town of Kamen Bryag (Stony Beach) with the ancient archaeological preserve Yailata; the Cape of Kaliakra; and the Museum of History in the town of Kavarna. “A polymetallic ingot in the form of a stretched ox skin is a unique find that can be seen in the Kavarna Museum of History. Most of it consists of an alloy of gold, silver and other metals," Peev points out, stressing that the ingot he describes is the only one of its kind in the entire world. The ingot was found in the 1970s in an inlet west of Cape Kalikra; it is dated back to the late Bronze Age, about 3200 – 3500 years ago, weighing about one talent (an ancient unit of mass amounting to about 26 kg in its Greek version). It is suggested that the ingot might have been a pre-monetary form of currency. Ingots that were round or had the shape of a spread out ox skin have been found in Cyprus, Crete, Egypt, and the Balkan Peninsula. The Durankulak Archaeological Preserve is located near the Black Sea coast and Bulgaria’s land border with Romania; it features several archaeological sites from different ages, the most ancient one dating back to the Paleolithic and Neolithic Era, and the most recent one – to the First Bulgarian Empire in the 10th century. The Paleolithic and Neolithic settlement on the Big Island in the Durankulak Lake, a lagoon with an area of 3.4 square km on Bulgaria’s Black Sea Northern Black Sea coast near the town of Durankulak, Shabla Municipality, is known as the Lake City or the “European Troy". It features prehistoric remains from what is said to be the first sedentary agricultural culture in Europe. The so called Big Island is today a peninsula with an area of 19 decares (app. 4.7 acres, or 0.019 square km). The excavations of the Paleolithic and Neolithic settlement on the Big Island in Bulgaria’s Durankulak Lake first started in 1974 by Bulgarian archaeologists Henrieta Todorova and Todor Dimov. They discovered Paleolithic finds dating back to around 10,000 BC; and a Neolithic settlement dating back to between 5500-5400 BC and 5100-5000 BC. The settlement, which created what is said to be Europe’s first stone city, is characterized as belonging to Blatnitsa, the earliest phase of Europe’s Late Neolithic Hamangia-Durankulak Culture (whose remains are found in today’s Black Sea regions of Romania and Bulgaria). The Bulgarian archaeologists found archaeological layers from a total of 8 prehistoric settlements on the Durankulak Lake island, the first two of which belong to the Late Neolithic Hamangia-Durankulak Culture and the next four – to the Chalcolithic (Aeneolithic, Copper Age) Varna Culture. What is said to be the world’s largest Paleolithic-Neolithic necropolis – containing traces of about 1400 and 1204 studied graves – dating back to 5300-3800 BC – has also been found there. The first burial mounds dating to about the 3500-3400 BC are said to have mark the arrival of the proto-Thracians. The archaeological site on the island also features remains from Ancient Thrace – a Thracian settlement dating back to 1300-1200 BC, around the time of the Trojan War; a 4th century BC rock shrine of Thracian (Greek, Anatolian) Mother Goddess Cybele; and a 9th-10th century AD fortress from the period of the First Bulgarian Empire (632/680-1018 AD), and an Ancient Bulgar necropolis. Bulgaria’s Archaeological Preserve “Yailata" (“Yaila" is a Turkish word left over from the Ottoman Yoke period meaning “a high pasture") is located on Bulgaria’s northern Black Sea coast, 18 km northeast of the town of Kavarna, and 2 km south of the town of Kamen Bryag (“Rocky Coast"). It is a rocky coastal terrace towering 50-60 meters above the Black Sea level, and has a total territory of 300 decares (app. 75 acres). The Yailata Archaeological Preserve features archaeological and historical monuments form different time periods – from the 5th millennium BC until the middle of the 11th century AD. The archaeological sites in the Preserve include a “cave town" of 101 dwellings from the 5th millennium BC; three necropolises (family tombs) from the 3rd-4th century AD which, too, were carved into the rocks; a small Early Byzantine fortress, i.e. the Yailata Fortress, dating back to the 5th century AD which features four partly preserved towers and a gate tower; an ancient rock shrine, wineries, four ancient tombs; in the Middle Ages, the caves in Yalata housed a medieval monastery; some of the caves feature Ancient Bulgar runic signs, crosses, and stone icons. The Yailata Archaeological Preserve was formally established by the Bulgarian government in 1989. It has been excavated and studied by archaeologists since 1980, with the digs focusing mostly on the Early Byzantine fortress Yailata dating back to the the reign of Eastern Roman (Byzantine) Emperor Anastasius I Dicorus (r. 491-518 AD), the rock necropolises, and the cave homes. 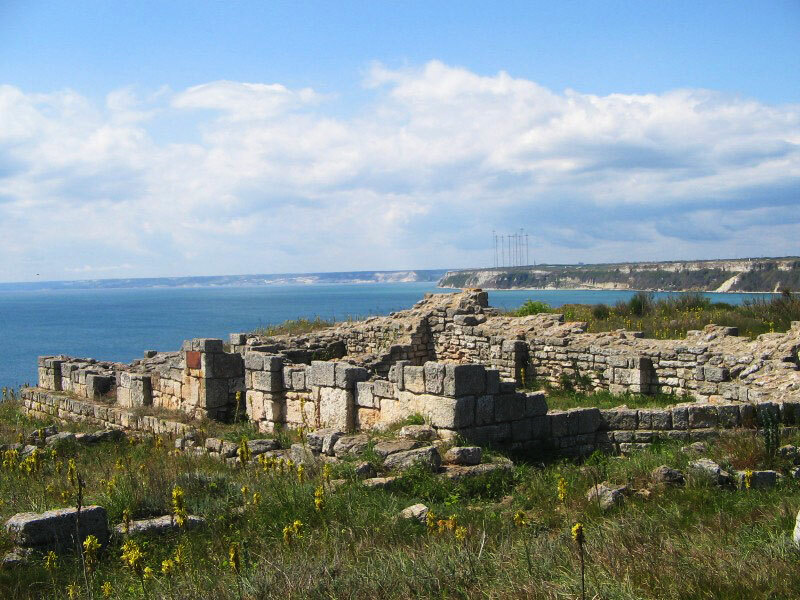 A substantial part of the marvelous archaeological and historical heritage of the Yailata Archaeological Preserve and the nearby Kaliakra Cape and the Kaliakra Fortress is believed to be underwater, a future matter of interest for underwater archaeology. The area is known to have been a harbor in ancient and medieval times, and local fishermen have found there debris from ancient and medieval ships when fishing at a depth of 60 meters. (What is more, the Black Sea is unique because below 200 meters (60 meters in some parts) it has no oxygen but only hydrogen sulfide, therefore any underwater archaeology sites or sunken ships at greater depths are supposed to have been perfectly preserved.) In 1791, in the Battle of Cape Kaliakra, the Navy of the Russian Empire commanded by Admiral Ushakov defeated the Ottoman Turkish Navy at Kaliakra which was an event when a lot of vessels were sunk. There is also a legend that Yailata is where Ancient Roman poet Ovid spent his last days, after he was exiled by Emperor Octavian August to the Black Sea port of Tomis (today’s Constanta in Romania). According to the legend, Ovid managed to sneak out of Tomis aboard a ship, and found refuge in the Bay of Yailata where he was hidden by the locals. The Early Byzantine fortress of Yailata is located in the northern part of the Archaeological Preserve. To the north and east, the fortress is protected by high rocks, which is why it had fortress walls only to the west and the south. The walls have a combined length of 130 meters, and are 2.6 meters wide. The walls, the four towers, and the tower gate are made up of large stone blocks which are up to 2 meters long and 0.7 meters high. Inside the fortress, the archaeologists have unearthed several staircases and buildings. The gate at the fifth tower was 2.6 meters wide. The archaeological artifacts made of copper, bronze, bone, and clay which have been discovered at the Yailata Fortress indicate that it was built at the end of the 5th and the beginning of the 6th century AD, and was short-lived. It was destroyed during the barbarian invasions at the end of the 6th century AD. It remained uninhabited for three centuries, until the 9th century AD, the time of the First Bulgarian Empire (632/680-1018 AD) when it was reformed into an Ancient Bulgar settlement which had a small Christian chapel. The medieval Bulgarian settlement there was destroyed by the Pecheneg tribes in the middle of the 11th century; after that, the Yailata Fortress never recovered. The Yailata Archaeological Preserve also features a large number of man-made caves located on several levels. They were used for thousands of years as dwellings, tombs, or rock churches (a rock monastery in the Early Byzantine period). Over 120 funeral facilities have been found in the three necropolises in the Yailata Archaeological Preserve which feature a variety of rock graves and tombs. Most of the tombs were robbed in the Antiquity and the Middle Ages. However, the discovered funeral inventories including clay bowls, cups, and lamps, bronze and iron buckles, glass beads, and coins have indicated that the tombs date back to the 2nd-5th century. These were family tombs that were in use for a long period of time, and in some of them the archaeologists have found up to 15 skeletons. Because of their specific features, the rock tombs in the Yailata Archaeological Preserve are believed to have been connected with the arrival of barbarian tribes which were most likely of Sarmatian origin. According to archaeoastronomers who explored the ancient rock shrine at Yailata, it was built in the 6th-5th century BC. The shrine located in the northern part of the Preserve has been likened to a shrine described by Ancient Greek poet Pindar (ca. 522 – ca. 443 BC) from Thebes as a shrine on the Black Sea coast visited by the Argonauts where their offered a sacrifice. According to other Antiquity authors, the region around today’s Cape of Shabla located to the north of Yailata was known as Caria, with the so called Carian Port. Caria is also the name of an ancient region in southwestern Anatolia (today’s Turkey) implying some sort of a connection, possibly the arrival of Carian settlers. The Ancient Thracian tribes that inhabited what is today Bulgaria’s Northern Black Sea coast, i.e. the so called region of Dobrudzha, are denoted in scientific literature as Getae-Dacians or Thraco-Getae. In 2013-2014, Kavarna Municipality completed an EU funded project entitled “Yailata – the Ancient Door of [the Region of] Dobrudzha" for the archaeological restoration of the Early Byzantine fortress in the Yailata Preserve. A total of BGN 2.2 million (app. EUR 1.1 million) of EU money from Operational Program “Regional Development" were invested in the project. However, the restoration of the Yailata Fortress has been vehemently criticized as one of Bulgaria’s botched archaeological restorations because of the used construction materials, and because for some reason the restorers installed a glass banister on top of the fortress wall. Local civil society activists launched numerous protests against the Yailata Fortress project taking the case even to the European Commission in Brussels. However, according to the inspections carried out by the Bulgarian government, no violations have been found. The ruins of the initially Ancient Thracian Black Sea settlement Caria (also known as Caron Limen / Karon Limen, Portus Caria, and Careia / Careas), which had a fortress with the same name in the Late Antiquity, are located on Bulgaria’s Black Sea coast, near the town of Shabla, and the country’s eastern-most point, Cape Shabla. The ancient city and fortress of Caria lies to the north of the Kaliakra Cape Fortress and the Yailata Fortress and Archaeological Preserve, other major archaeological landmarks on Bulgaria’s northern Black Sea coast. The site of the Caron Limen / Karon Limen / Portus Caria near today’s Shabla was first settled by Ancient Thracians (from the tribe of the Getae (Gets)). The name Caria is internationally associated with an ancient region in southwestern Anatolia (today’s Turkey), and there are hypotheses that the ancient port in today’s Northeast Bulgaria was established in the 6th-5th century BC by settlers from Caria in Anatolia. Caron Limen / Portus Caria emerged as a major Antiquity port on the Black Sea coast for a period of about 1000 years, up until the 6th century AD. During the Late Roman / Late Antiquity period, a small fortress of the quadriburg type was built there to protect the port. It was constructed in the early 4th century AD, and survived into the Early Byzantine period. Portus Caria was mentioned in a number of ancient sources, including by Roman geographer Pomponius Mela (d. ca. 45 AD) in his work “Geography" who recorded that Caria was located between Calatis (today’s Mangalia in Romania) and Tiristis (Tirizis, later the Kaliakra Fortress on Cape Kaliakra). According to Roman historian of Greek origin, Arrian (ca. 86-ca. 160) the hinterland of Portus Caria / Caron Limen was also known as “Caria" (again, not to be confused with the ancient region in Anatolia of the same name). This is a coastal terrace which today features numerous archaeological remains from the ancient settlement, including its necropolises, with a total area of about 25 hectares (app. 10 acres). Ancient authors mention that the port of Caria (Portus Caria / Caron Limen) was established artificially, by building upon existing natural reefs to the north, south, and east to create efficient breakwaters. The Caria Fortress was built on Cape Shabla which at the time reached 40 meters further east into the sea than it does today. It was a quadriburg (rectangular fortress), which, according to Karel Skorpil’s description, was 67 steps long and 40 steps wide, and had four corner towers. Its walls are about 1.6 meters wide, and parts of its western wall have survived up to 1.9 meters in height. The Late Antiquity Caria Fortress was used by the Roman and Byzantine authorities for military and policing purposes such as protection of the port and monitoring of the maritime traffic and trade, and for tax and customs activities. There are hypotheses that it was destroyed in the 440s during the invasions of Attila’s Huns, together with the city of Caria. Archaeologist Assoc. Prof. Sergey Torbatov from the National Institute and Museum of Archaeology in Sofia has found that the Late Antiquity / Early Byzantine fortress of Caria was rebuilt about a century later, during the reign of Emperor Justinian I the Great (r. 527-565 AD). It was built up together with three other similar fortresses in the region as part of a defensive network of Early Byzantine forts against the barbarian invasions. It had some modifications of the original fortifications, with thicker walls (1.9-2.0 meters wide). The rebuilt Caria Fortress was destroyed once again in a barbarian invasion in 563-564 AD; it was briefly restored once again, and was ultimately destroyed in another invasion at the end of the 6th century. In the 18-19th century, during the Ottoman period, material from the Late Antiquity fortifications was used for the construction of Shabla Lighthouse. The Shabla Lighthouse, towering at 32 m, is the oldest and tallest lighthouse along the Bulgarian Black Sea coast. It was built in its present form in 1856, 22 years before Bulgaria was liberated from Ottoman Turkey, to replace an older lighthouse built some time between 1756 and 1786. By the early 20th century, the ruins of the eastern part of the Caria Fortress and the port city of Portus Caria / Caron Limen were destroyed because of the coast’s collapsing into the Black Sea. 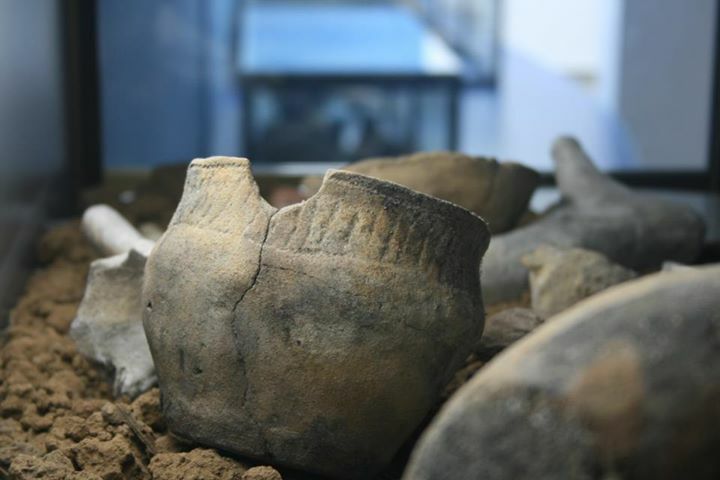 Artifacts discovered during the land and underwater archaeological exploration of the port of Caria and the Caria Fortress are part of the collection of the Regional Museum of History in the northeastern city of Dobrich. Histria or Istros was an Ancient Greek colony on Romania’s Black Sea coast; it was established by Milesian colonists for trade with the local Thracian tribe, the Getae, in the 7th century BC. After the 1st century AD it was part of the Roman Empire and then of the Byzantine Empire, until it was destroyed by barbaric invasions in the 7th century AD. The Shabla Lighthouse, towering at 32 m, is the oldest and tallest lighthouse along the Bulgarian Black Sea coast. It was built in its present form in 1856, 22 years before Bulgaria was liberated from Ottoman Turkey, to replace an older lighthouse built some time between 1756 and 1786.